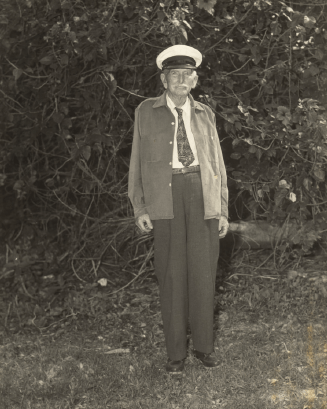 In 1895 Major Nathan S. Boynton traveled south from Michigan with William S. Linton. Lake Worth. 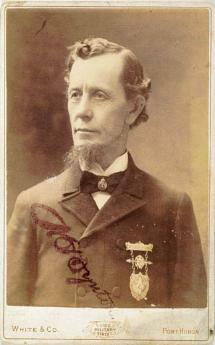 Linton purchased land from Stephen Andrews, who owned the beachfront property. Major Boynton then purchased this land from Linton and proceeded to build a house. 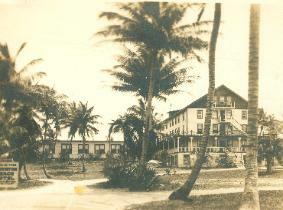 Plans changed and Major Boynton decided to build a hotel on the high bluff that was located near the ocean front. He eventually expanded the wooden hotel to 50 rooms, and built several cottages alongside the hotel. It opened in 1899, and was managed by his son-in-law, Albert E. Parker, who had married daughter Anne Boynton. alongside the Intracoastal canal. The hotel’s water supposedly had “curative” powers, especially for kidney ailments. The hotel had acetylene gas lights installed in 1901, and in 1921-1923, the hotel was renovated with a new boiller system and electricity. The Boynton family sold the hotel in 1925 to the Harvey Corporation, which intended to build a much larger, luxurious hotel on the property. 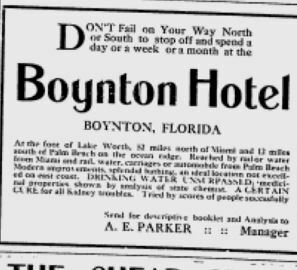 The Boynton Hotel’s contents were auctioned off, and the building razed. Much of the high ridge was removed in preparation for the larger building. The 1926 and 1928 hurricanes and the crash of 1929 dashed the hopes of the large hotel, which was never built. Today the property has several large mansions built on its former footprint.